Toronto is willing to add J.A. 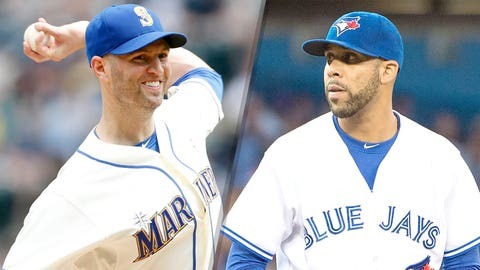 Happ (left) because of a manageable salary, but David Price (right) would cost much more. David Price’s name didn’t appear in the press release. But in many ways, he was the story. In announcing Friday that they had signed free-agent starter J.A. Happ to a three-year, $36 million contract, the Toronto Blue Jays made a tacit statement about Price. The Blue Jays’ wildly successful 2015 — competitively and commercially — hasn’t ushered in an era of Dodgers-style spending. At Shapiro’s introductory news conference in Toronto, he described carefully — so as not to disparage the popular Anthopoulos — a need to rebuild the upper-level farm system depth sacrificed in the name of winning this year. Simultaneously, Shapiro faced the loss of three starting pitchers via free agency: Price, Mark Buehrle and Marco Estrada. 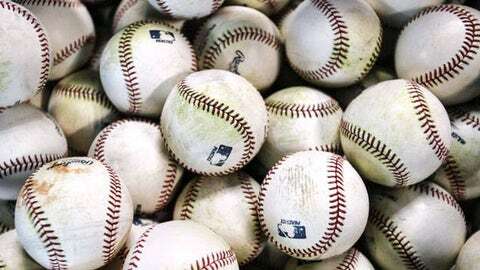 Barely more than one month removed from Canada’s greatest baseball season in a generation, Blue Jays fans do not want to hear about their team’s Triple-A pitching depth. But in citing that concern, Shapiro is staying true to the executive he was in Cleveland — and undoubtedly the one Blue Jays ownership hired him to be in Toronto. The popular move would be to sign Price, or at least offer him as much as the top suitors Ken Rosenthal mentioned several days ago. But the Blue Jays won’t — either because ownership won’t authorize the expenditure, Shapiro doesn’t believe Price is worth $200 million, or both (which is very possible). Shapiro stressed that Estrada and Happ were high on the Blue Jays’ wish list when the offseason began. I can see why. The deal for Estrada — Toronto’s best starting pitcher in the playoffs — will be remembered as one of the best by any team this offseason. Happ pitched like an All-Star after his second-half tuneup with Pittsburgh Pirates pitching coach Ray Searage. The Blue Jays signed Estrada and Happ this offseason because their abilities — and manageable salaries — will help Shapiro diversify risk. Remember that term? Shapiro cares about it. He always has. That is why Price — with that annual salary around $30 million — will pitch somewhere else in 2016.